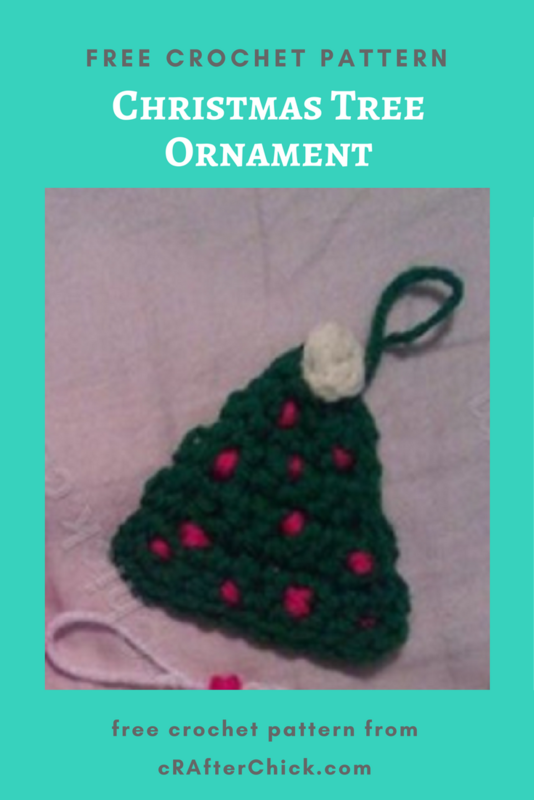 This free crochet pattern is for the green Christmas Tree crochet ornament seen in the picture above and in the image below of the complete set it is in the top right hand corner. 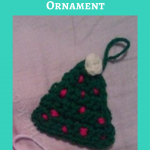 All ornaments seen in picture with the Christmas Tree are free crochet patterns here at cRAfterChick.com. If you are interested in those patterns as well, you can find links to these patterns at the bottom of this one. Note: Leave short length at top of tree (starting point) to help secure on tree topper. Pull yarn through and finish off. 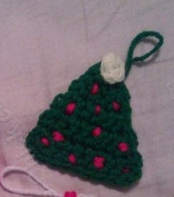 If you like a more finished look to the ornament’s border like I did, before fastening off yarn, Ch 1 then sl st in each stitch all the way around the hat to give it a nice outline. Sl st in to first st. Fasten off. Note: You can adjust the size and length easily. If you want a wider base for a much larger decoration, start of with 4 chains in round 1 and increase each round as instructions. If you just want a longer tree than in pattern, just continue to add rows like row 3, increasing 1 sc per row until desired length. I just wanted a simple ball on top of my tree but you can go fancy and make a mini star or an angel. I was also feeling a little bit lazy so I didn’t feel like weaving in more colors or getting too detailed. In magic circle, ch 1 and make 4 sc into circle. 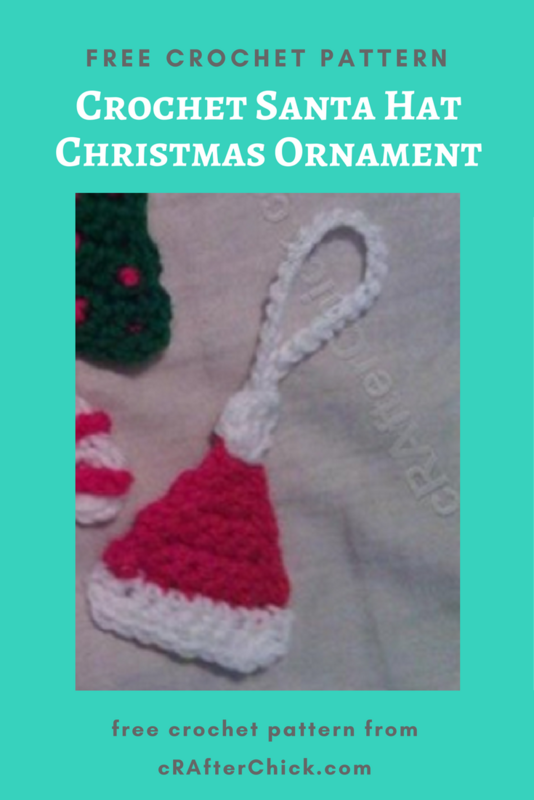 Pull yarn through and use extra length to tie on to top of hat and secure a simple loop for ornament to hang before finishing off piece. That’s it. 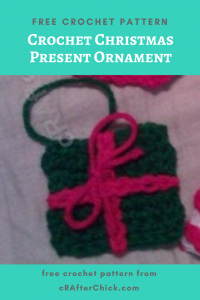 It’s a pretty simple project for beginners and the ornament set make great little holiday gifts to go into baskets or stockings. 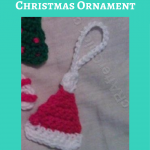 This free crochet pattern is for the red Santa Claus hat ornament seen in the close up picture above or in the bottom right hand corner of picture below. All ornaments seen in picture are free crochet patterns here at cRAfterChick.com. 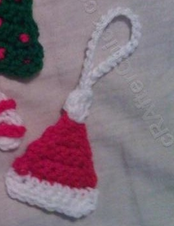 If you are interested in those patterns as well, you can find links to these patterns at the bottom of the one for the Santa hat. Round 4- 8: Repeat process from round 3 increasing each row by 1 sc in first st until you reached your desired length / size. Round 9: Sc in each sc across. 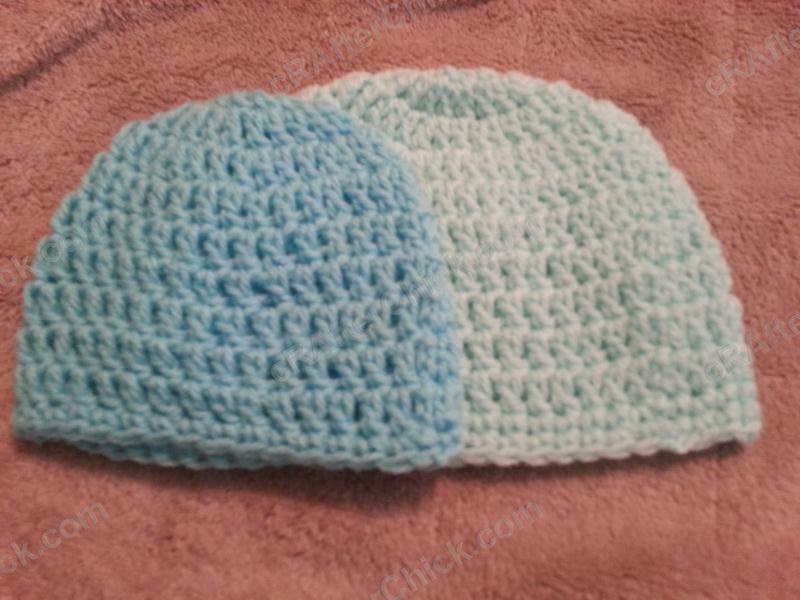 (8 sc) Finish off or if you like a more finished look like me, slip stitch in each stitch all the way around the hat to give it a nice outline. Note: You can adjust the size and length easily. If you want a wider base for a much larger decoration, start of with 4 chains in round 1 and increase each round as instructions. 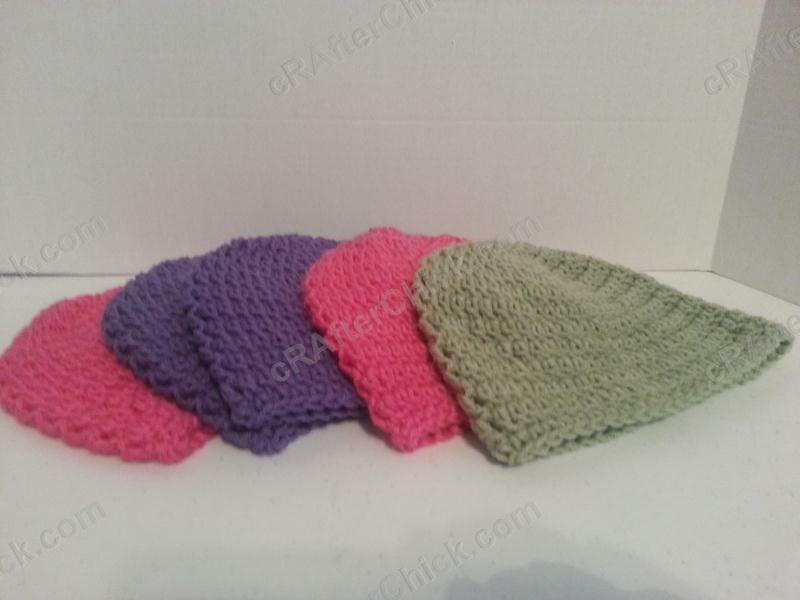 If you just want a longer hat than in pattern, just continue to add rows like row 3, increasing 1 sc per row until desired length. Attach white yarn to end of final row of completed red hat part (see Round 9 above) with a slip stitch. Round 2: 3 sc in first sc, 1 sc in each sc across until last sc, which you will put 3 sc. (12 sc) Slip stitch in last st. Pull yarn through and fasten off yarn. Pull yarn through and use extra tail length to tie on to top of hat and yarn needle to secure a simple loop for ornament to hang before finishing off piece. 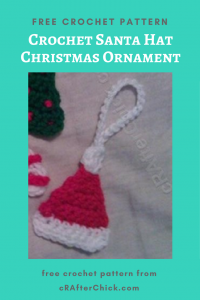 This free crochet pattern is for the green present ornament seen in the picture above or in the image below of the entire ornament set it is in the bottom left hand corner. 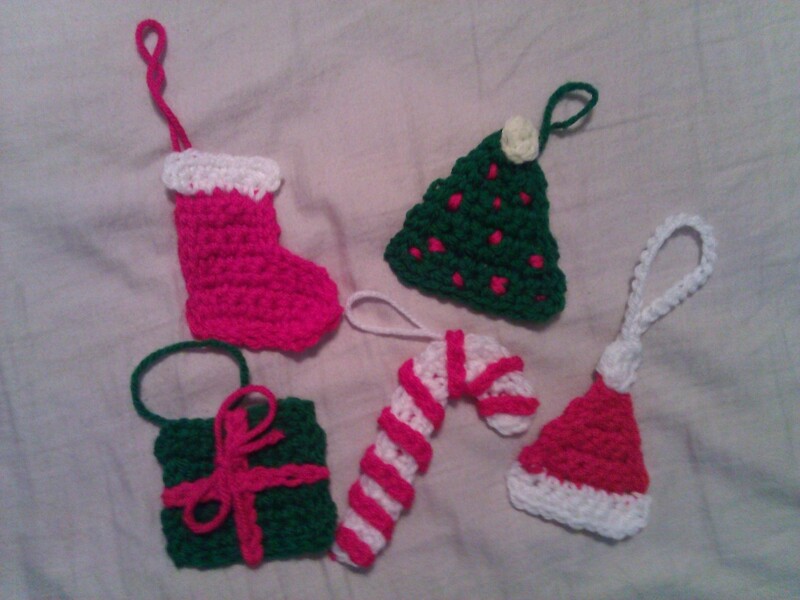 All ornaments seen in picture below are free crochet patterns here at cRAfterChick.com. Round 8: Work 1 sc into each sc across. (8 sc) Pull yarn through and fasten off. 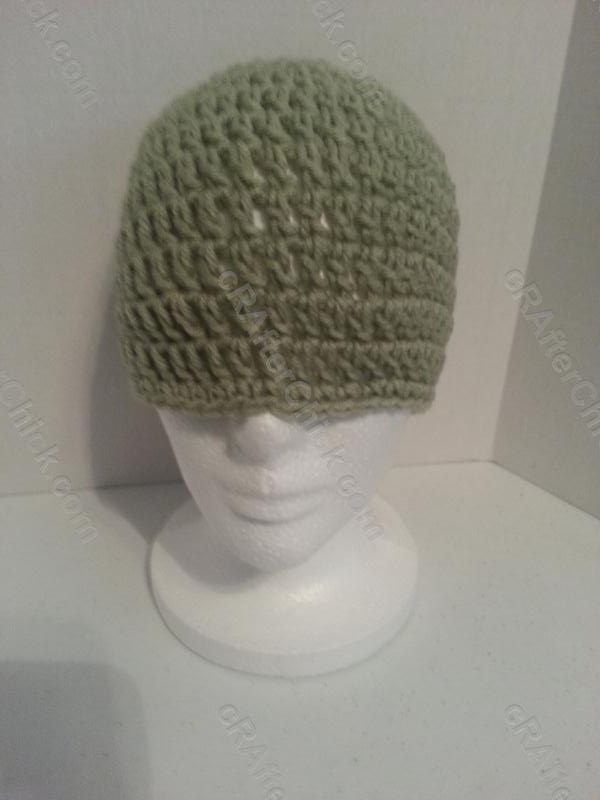 Finish off or if you like a more finished look like me, slip stitch in each stitch all the way around the hat to give it a nice outline. Note: I always try for a perfect square so I will fold from corner to opposite corner to see if it is a perfect square before finishing off. For mine it worked out to be 8 rounds total. Using Red yarn (Accent color) make a chain of 9. 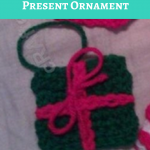 Pull yarn through and leave extra length to tie on to top of present and secure a simple loop for ornament to hang before finishing off piece. Make a total of 2 chains following above. Using a yarn needle I fixed the “ribbon” parts on to the present in a crossed position like in picture, securing it by weaving through from end to the other of Green present in place. I then used a scarp of red yarn to bring through piece around top piece of red present embellishment, tied a double knot then finished it in a standard shoelace kind of bow. 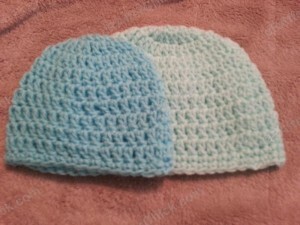 Looking for an Easy Peasy crochet beanie pattern for newborns to 3 month old babies? 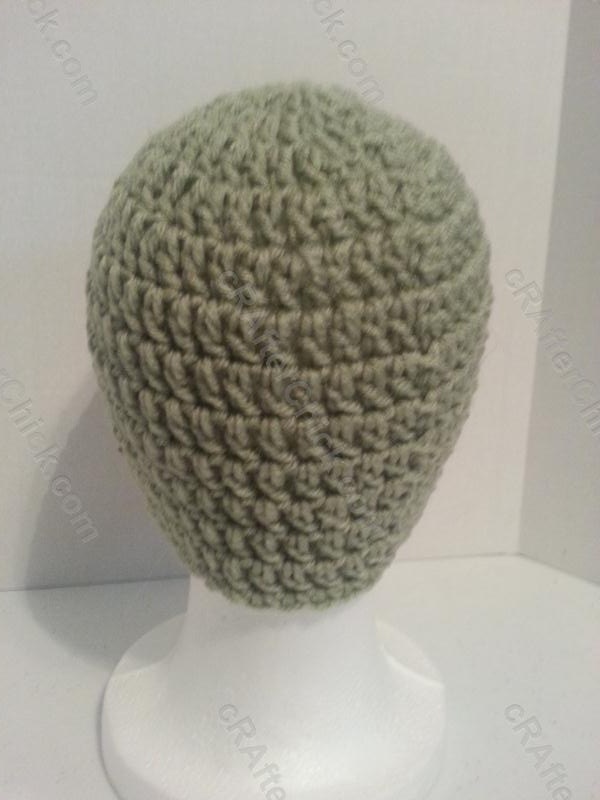 What about a simple one made with Double crochet? This pattern is perfect even for the beginner so give it a try. Cut yarn leaving a short tail to finish off the project. Pull tail through and weave in ends with your yarn needle before cutting off any extra length left behind to fasten off hat. Want a trim or contrast color? 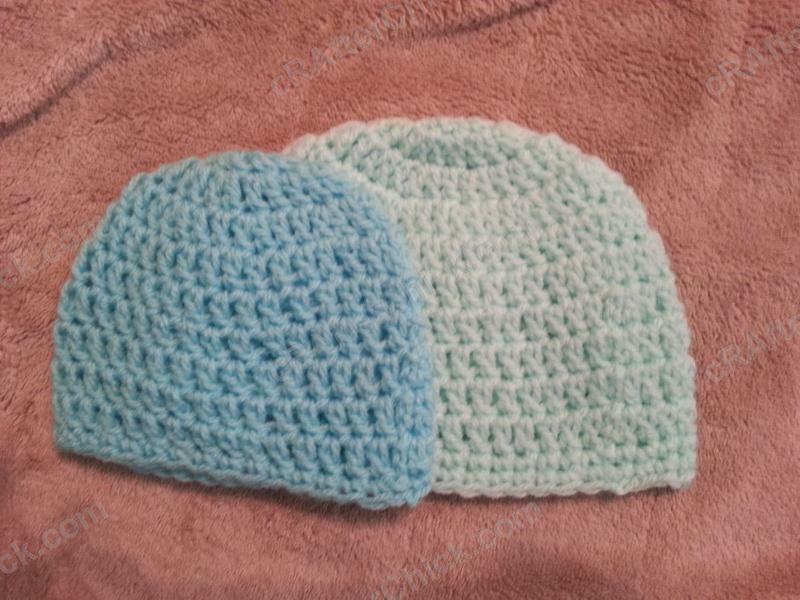 You can easily add a contrast trim by adding an additional round of sc to end of hat in new yarn color or for a wider trim, subtract one dc round from Round 4-9 then add that to the end after in between sc rows in contrast color. The rounds of sc give a more defined color contrast line. 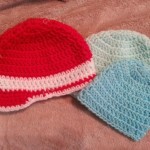 Looking for an Easy Peasy crochet beanie pattern for a baby or infant aged three to six months old? 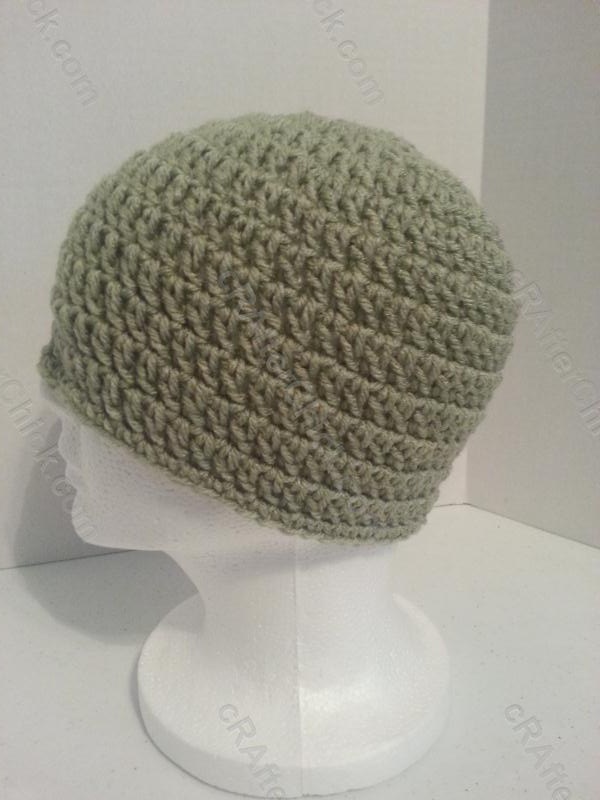 What about a simple one made with Double crochet? This pattern is perfect even for the beginner so give it a try. Are you looking for this in another size? Check out the whole family of sizes in the free Easy Peasy Double Crochet Beanie pattern page here at cRAfterchick.com. Want a trim or contrast color? You can easily add a contrast trim by adding an additional round of sc to end of hat in new yarn color or for a wider trim, subtract one dc round from Round 5-10 then add that to the end after in between sc rows in contrast color. 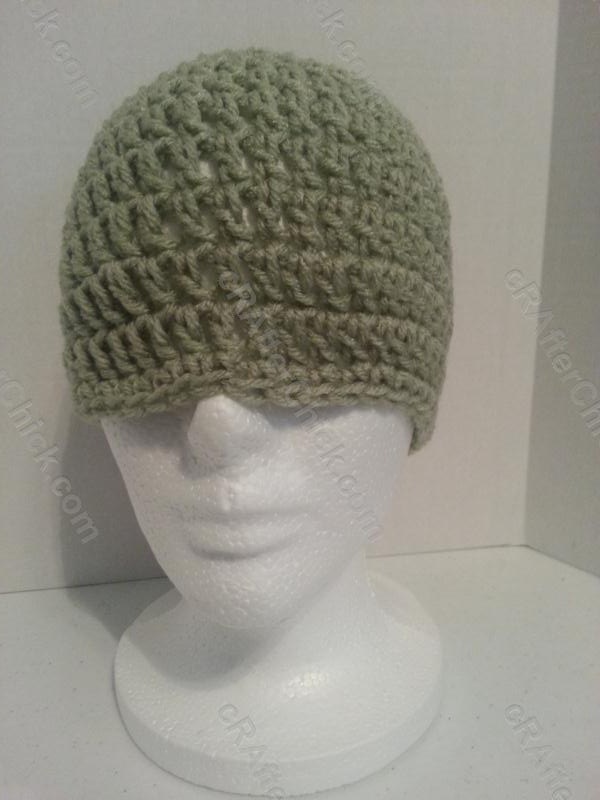 Looking for an Easy Peasy crochet beanie pattern? What about a simple one made with Double crochet? This pattern is perfect even for the beginner so give it a try. 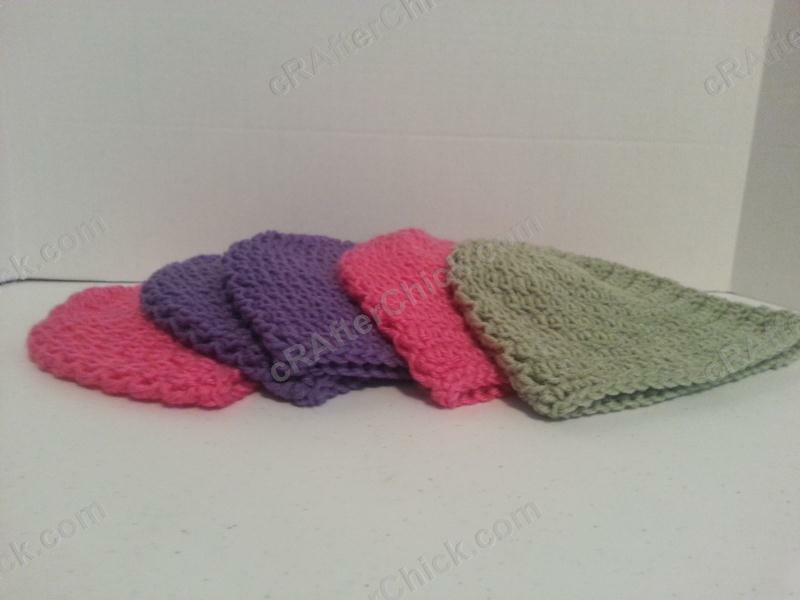 Since this crochet pattern is done in Double Crochet instead of half double or single crochet like others it builds up rather quickly. I use the Easy Peasy Beanie Crochet Pattern family sizes for the majority of my hats as a base to build on or embellish. Cut yarn leaving a short tail to finish off the project. Pull tail through and weave in ends with your yarn needle before cutting off any extra length left behind to fasten off hat.All done! Want a trim or contrast color? 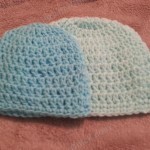 You can easily add a contrast trim by adding an additional round of sc to end of hat in new yarn color or for a wider trim, subtract one dc round from Round 5-11 then add that to the end after in between sc rows in contrast color. 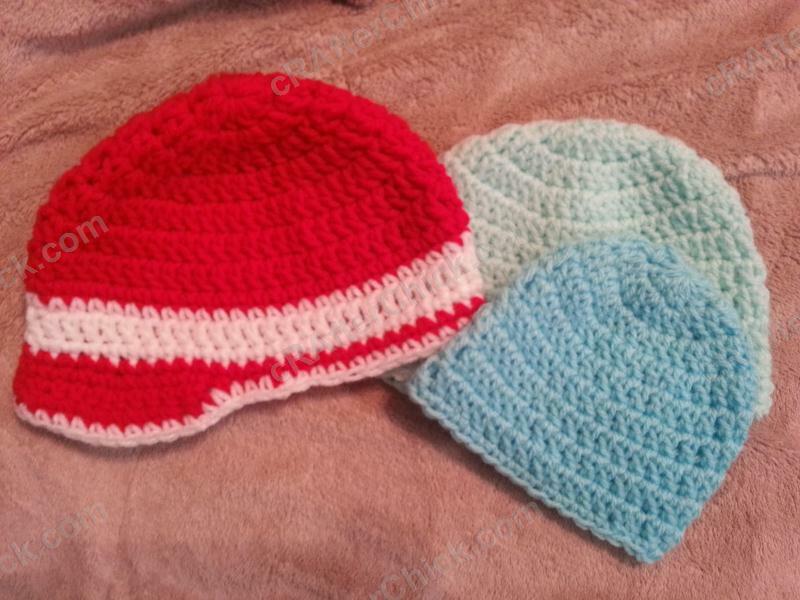 Are you looking for an easy peasy beanie to whip up for a child? Then this pattern is for you! It doesn’t get much easier than this and this pattern is set to fit a child from age 3 to 10 years old. Want a trim or contrast color?You can easily add a contrast trim by adding an additional round of sc to end of hat in new yarn color or for a wider trim, subtract one dc round from Round 5-11 then add that to the end after in between sc rows in contrast color. 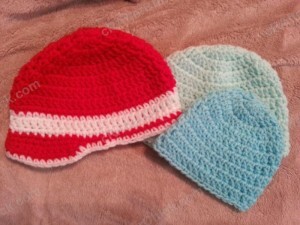 Are you looking for an easy peasy beanie to whip up for a pre-teen, teenager or woman? Then this pattern is for you! It doesn’t get much easier than this and I use this base quite frequently in my projects. 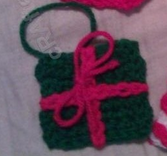 Since this is done in Double Crochet instead of half double or single crochet like many it builds up really quickly. 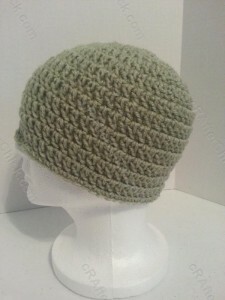 I use the Easy Peasy Beanies for the majority of my hats as a base to build on or embellish. So here it is. Are you looking for this in another size? 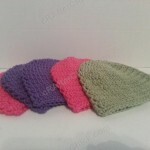 Check out the whole family of sizes in the free Easy Peasy Double Crochet Beanie pattern page here at cRAfterchick.com. Want a trim or contrast color? Some of cRAfterChick.com’s patterns call for a contrast trim to be added to the bottom of the beanie. 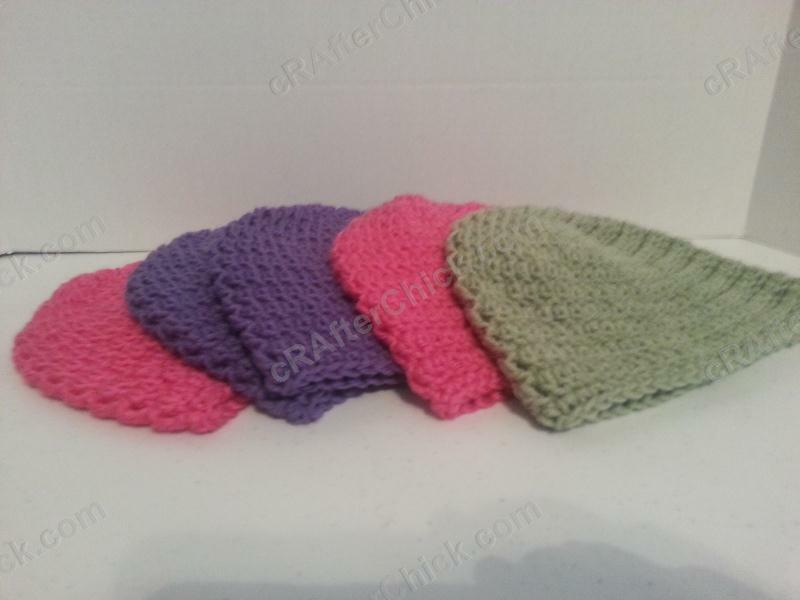 You can easily add a contrast trim by adding an additional round of sc to end of hat in new yarn color or for a wider trim, subtract one dc round from Rounds 6-12 portion then add that to the end after in between sc rows in contrast color.